Silvera was first founded in 1990 by Paul and Fabienne Silvera; nowadays the integrated concept boasts ten Parisian showrooms – and one London flagship showroom, which will be celebrating its very first birthday on the 28th of June, 2018. 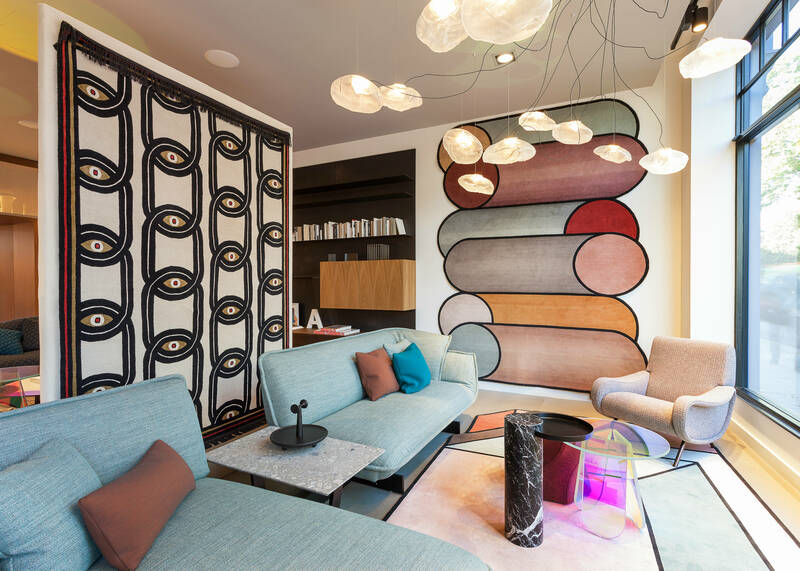 Ahead of Silvera London’s first birthday, we visited the Chelsea showroom and spoke to Laure Maillé, the showroom’s general manager, to find out more about Silvera and the brand’s unique set up. 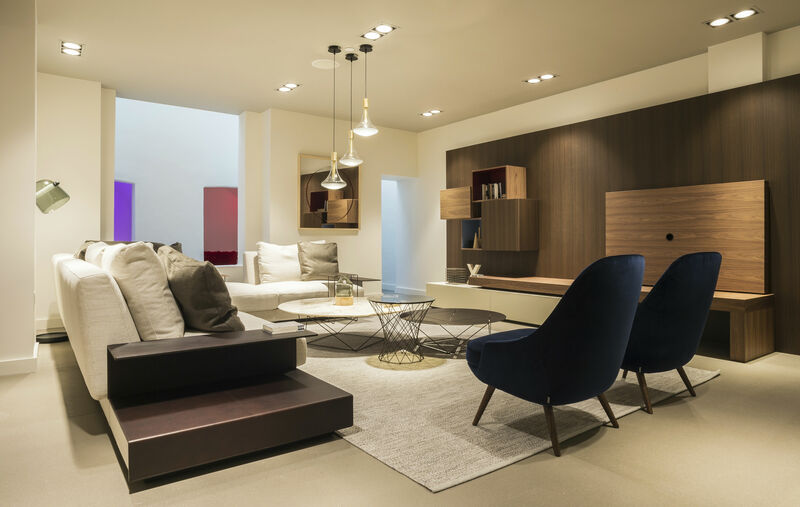 It becomes apparent as we walk through the showroom that the Silvera team have put individual brands together in order to create cohesive structure throughout the space. One area is reminiscent of a lounge; another of a dining room; a further section boasts a stunning glass roof. 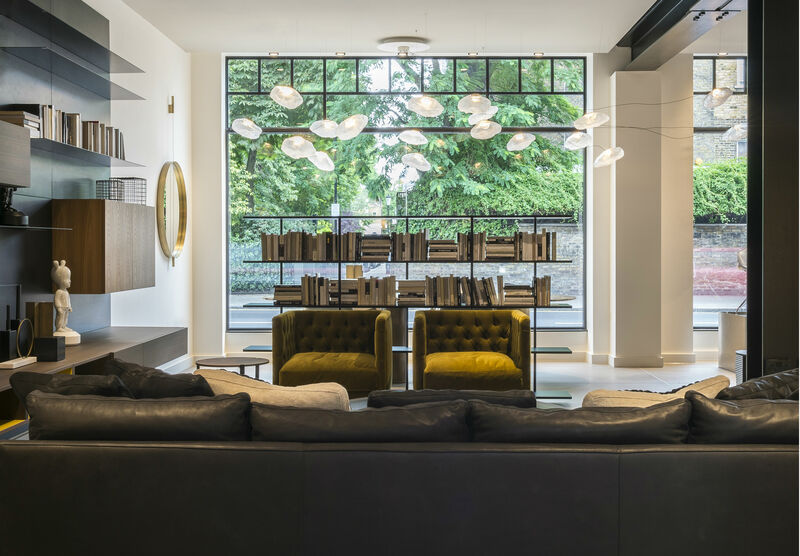 Maillé explains that this King’s Road showroom was designed by renowned French architectural firm, Jouin Manku. On first impression, the Silvera showroom seems to encompass one main, open-plan space that looks out onto the King’s Road. Large windows allow passersby an easy view in to the collections of design products within. 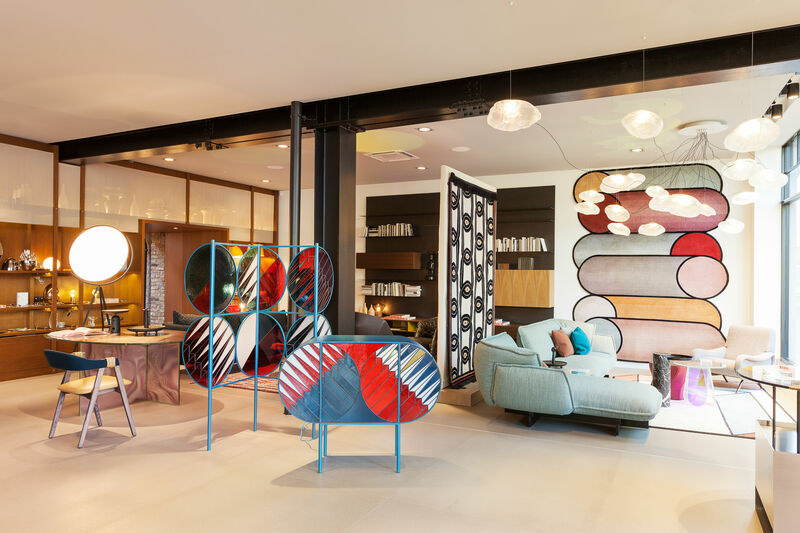 However, heading through one of three archways at the back of the showroom, it becomes clear that the space is much more expansive than it first appears. “It’s so hard to find a space like this,” Maillé comments as we look around; and then another secret is revealed. 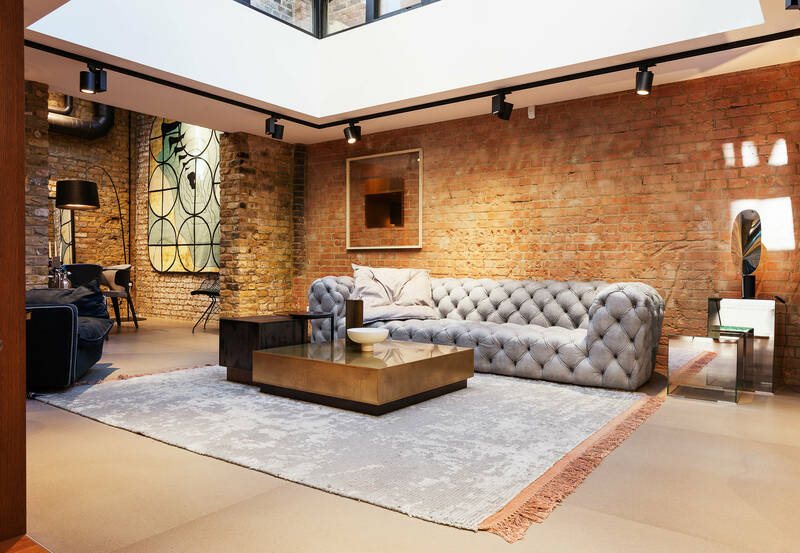 The Silvera London showroom boasts 500 square meters overall – there’s another full floor downstairs, below street level. Though there are several different brands showcased throughout the Silvera showroom, none of them are ‘zoned’ into one area. Instead, each collection works amongst other pieces to create a unified space. 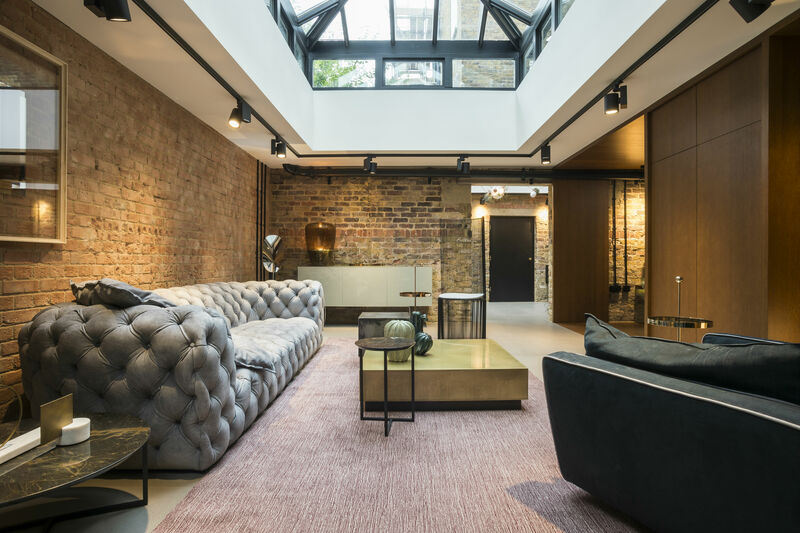 “Our strength is having about 500 different brands available to us; we pick and choose from those collections to create curated interiors for our clients. It’s very much about [creating] something that’s quite bespoke,” Maillé says. Giving the example of a lighting fixture that hangs above the staircase, Silvera’s general manager explains that although many of the pieces Silvera showcase come from a collection, they are unique because of the way they’re crafted. In the case of the lighting, each feature is a sphere of hand-blown glass. “It’s something that we focus on for our clients; doing things that are designed just for them and their space. [Even] our standard collections [are] available in so many fabrics or leathers, and so many different configurations”. “It’s what our team are very specialised in doing,” says Maillé with a smile. “They all have a design background and they project manage; they really handle the project from the very beginning right through to delivery, installation and after sales service. It allows us to respond to our clients’ needs; we really listen to what it is they need and then we can go and source the items that would suit them best.” On the other hand, Maillé continues, there are those individuals that will just “come in looking for a couple of bar stools, and that’s fine”. “That’s the advantage of [a designer] working with Silvera as opposed to going to different mono-brand stores and then having to do all that logistical work themselves,” Maillé continues. “[It’s] a service that we offer. I would say, out of every one retail client we have, we have three designers.” This number is only continuing to grow - Silvera often have repeat clientele that come back to the brand for their design approach and assistance. “It’s growing more and more as people get to know us,” says Maillé with a smile. Returning to the main area of the showroom, Maillé points out one area in front of a large window and lists off the brands that have been put together to create a dining space. 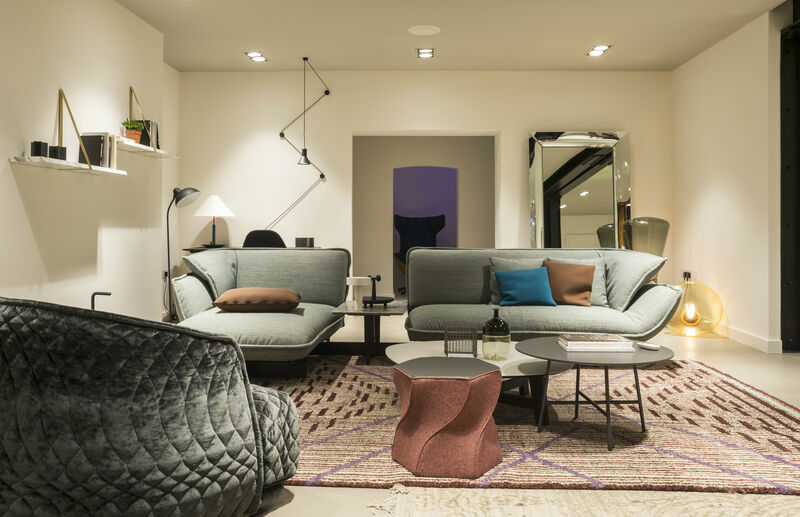 “We [have put together] a Living Divani mirror, a Flos lamp, a Cassina table, Baxter chairs, a cici-tapis rug, a Living Divani book case and Bocci light - but it all works. It’s quite fine art to put together,” she says. It’s also clear that Laure Maillé knows her showroom inside and out.